Is there any simple way to access installed programs? 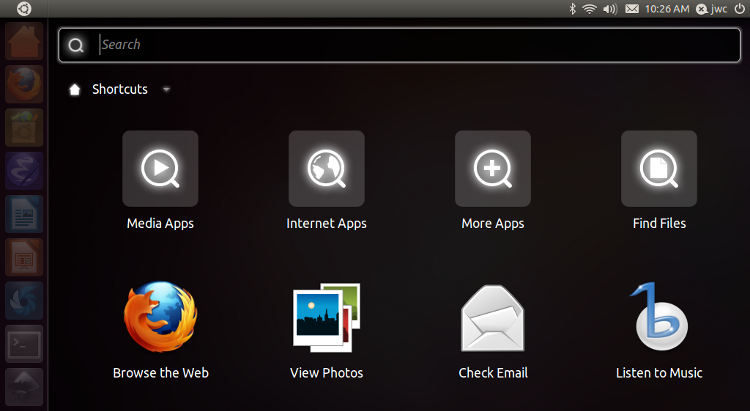 Just installed Ubuntu for the first time... Is there any simple way to browse installed programs? ...or I can click the ruler/pencil icon at the bottom and see 'Recent Apps' and click to expand 'Installed Apps' ...ok that's all of them - is it possible to get a straight list view instead of the hard-to-scan wrapped rows? Also, is there any way to get rid of the pointless random selection of 'Apps available for download' at the bottom? Just like "Applications" on the Mac, you could browse "/usr/share/applications"
The best way to get there is open "Home Folder" or "Files" from the dash, press '/' and type '/usr/share/applications'. I guess you could make a bookmark there by pressing ctrl-D.
ClassicMenu Indicator will do the job! This is something way too easy,i do not undestand what is difficult for you to find. When you click the ruler/pencil icon at the bottom and see 'Recent Apps' pay attention to the 'Filter Results' menu. It is right after the 'Search Applications' field. I guess it is exactly what you need. 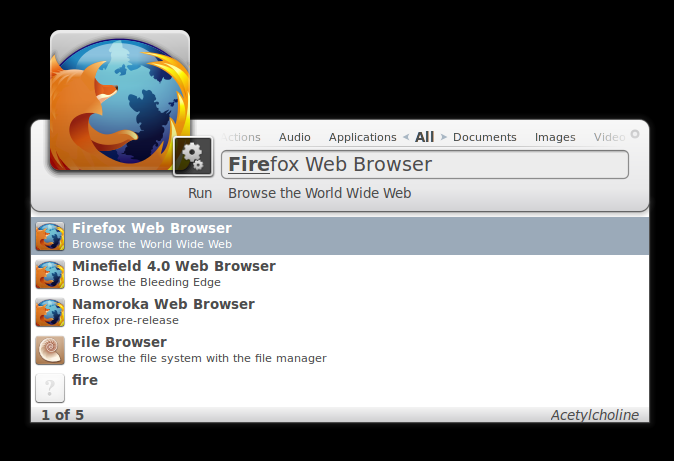 I think you can hide apps for download by expanding the Filter options and choosing "Local" as the only app source. 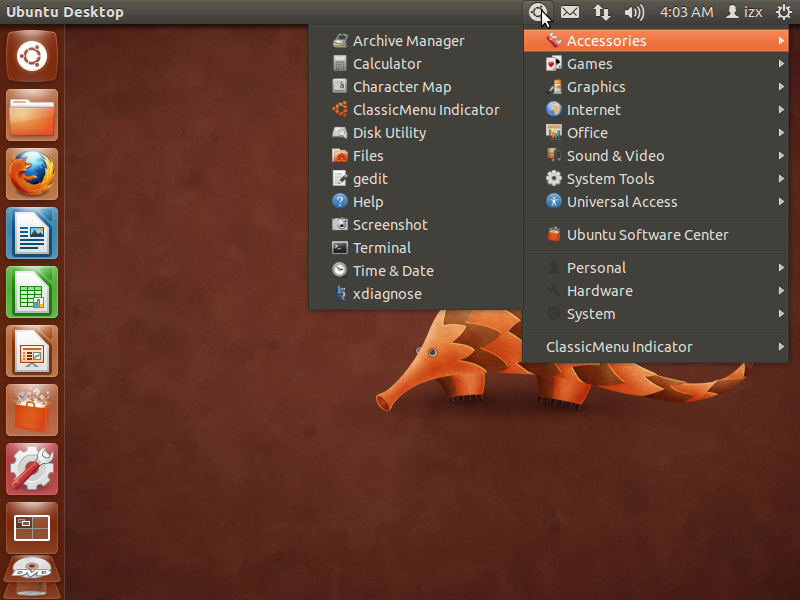 Just go to the Ubuntu Software Center and download the classic menu indicator it will appear on your side bar. Click on it and it will appear on the top bar. 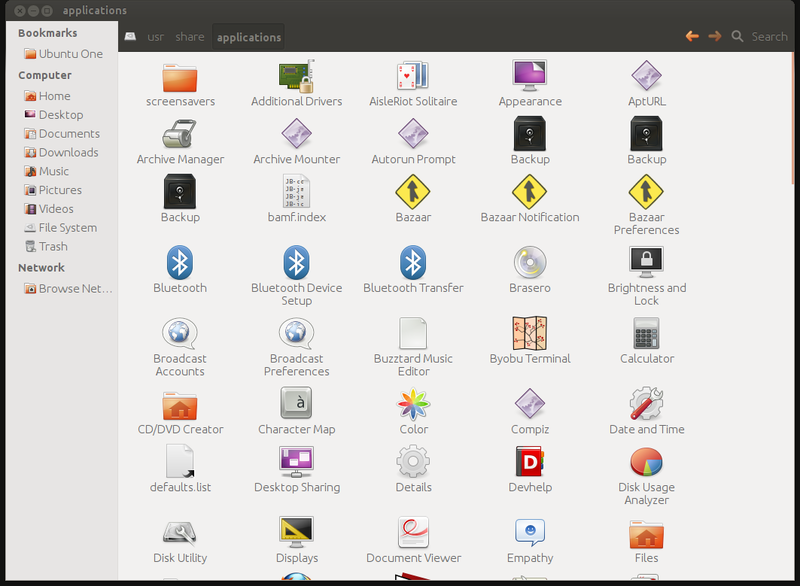 To auto-start the program when Ubuntu start, go to preferences and activate the option. Not the answer you're looking for? Browse other questions tagged unity-dash or ask your own question. Add “Application Menu” to dock? Way to open Applications without using Dash (w/out knowing name)? Is there a way I can block a folder from Gnome and/or Unity search? Is there a simple way to diagnose Unity performance issues? 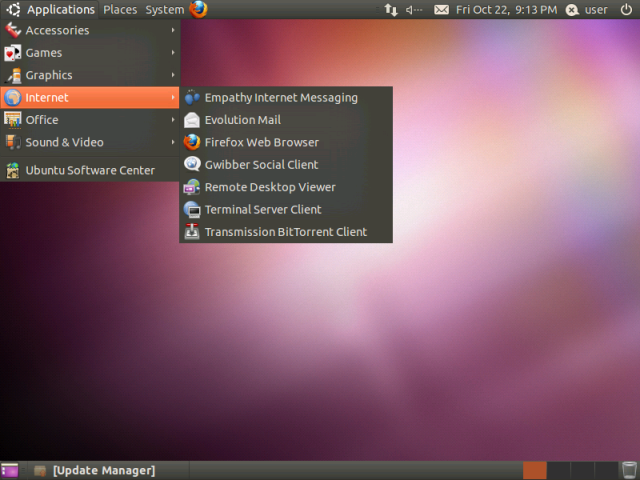 Is there any way to make the Ubuntu Dash a 'start-up application'? Is there a simple way to remove the thick gray frame around the Dash menu? 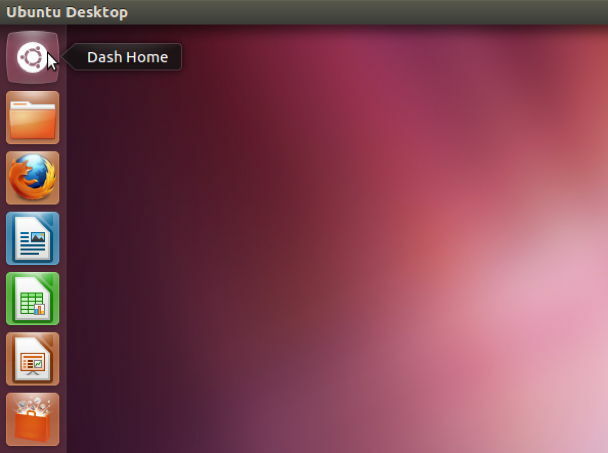 Is there any way to make the ubuntu icon launch Kupfer instead of the dash?